Last week, Uber lowered rates in 100 North American cities, including Ottawa, in line with its annual tradition to cut prices at the beginning of the year. 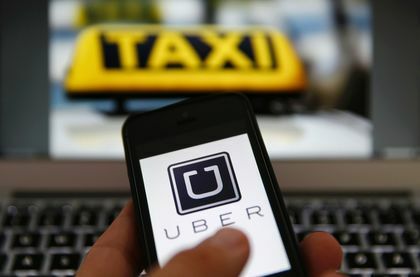 However, some Uber drivers in the region are quietly griping about the price cuts ordered by headquarters, the Ottawa Sun is reporting. Ottawa’s first-ever Uber driver Glen told the publication that local drivers didn’t get a heads-up from headquarters about the price cut. Glen added that many Uber drivers with whom he spoke said they learned about the discounted rate through passengers. “Even if we are moving around more, picking up more fares at this reduced rate, that means our operational expenses go up for moving more,” Glen added. Uber drivers in Ontario who signed up with Uber after last Aug. 14 retain 75% of each uberX fare. Veteran Uber drivers however still keep 80% of each uberX fare. Uber pricing is largely based on market demand. Its surge pricing strategy — which sees fares skyrocket during huge demand times, like New Year’s Eve — convinces drivers to hit the road to make money and serve the ridership. Uber says the recent New Year’s Eve saw nearly six times the number of trips compared to the previous New Year’s Eve in Ottawa. Ottawa currently has the lowest Uber rates in Canada.